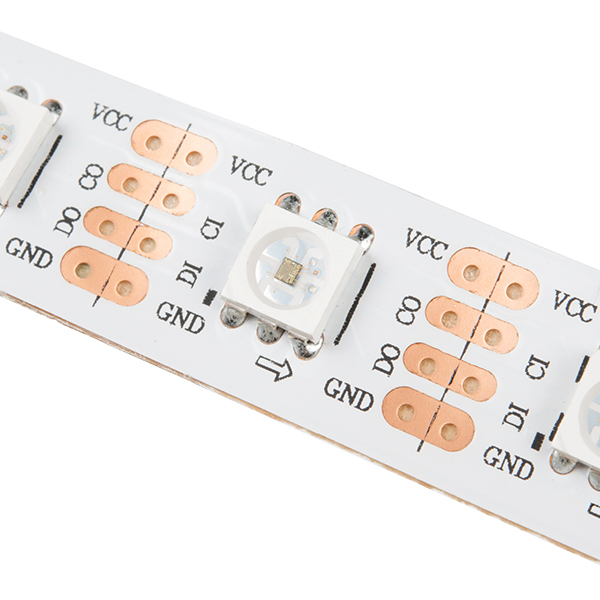 Try checking out our Lumenati Hookup Guide that uses the APA102-based LEDs. There is an Arduino and Raspberry Pi example. It worked out of the box on a Raspberry Pi. I like it. APA102 are great to work with. Only problem I found is that they work on 5V so each meter consumes around 18W or 3.5A. if you want a long chain you must add a thick cable for the power as the strip itself can't carry so many amps without a large voltage drop. 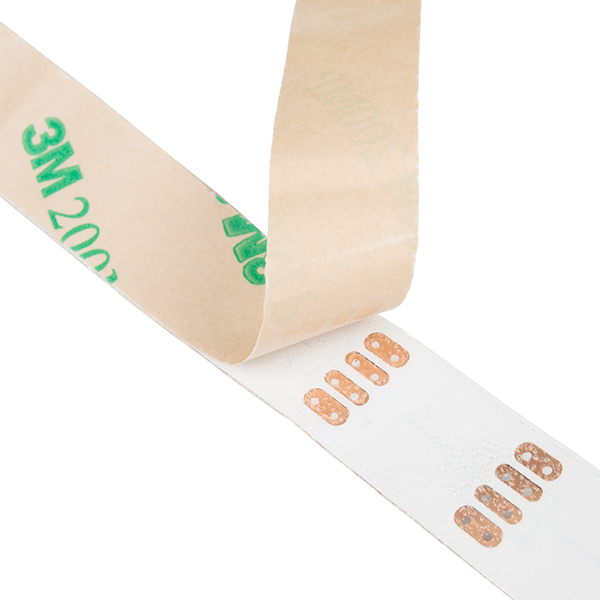 They should make these strips work on 24V or even 48V. 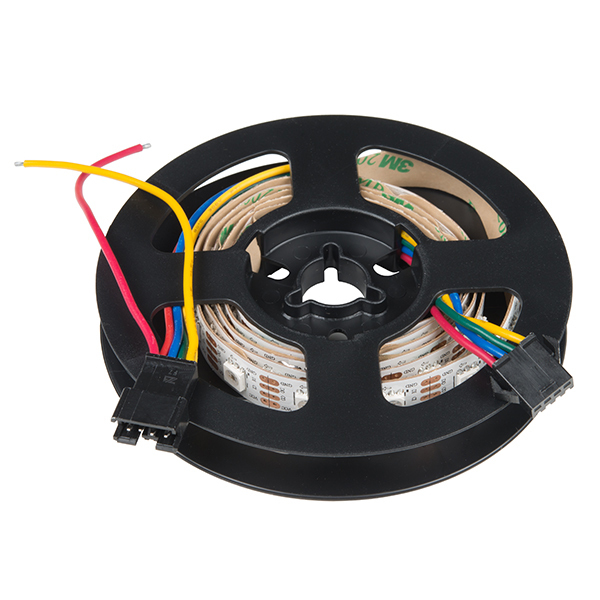 It should be normal practice, when offering a product with connectors, to either stock the mates or provide a link to a source or at least an industry part number. I can't use this without the mating connectors, delaying a purchase from you. 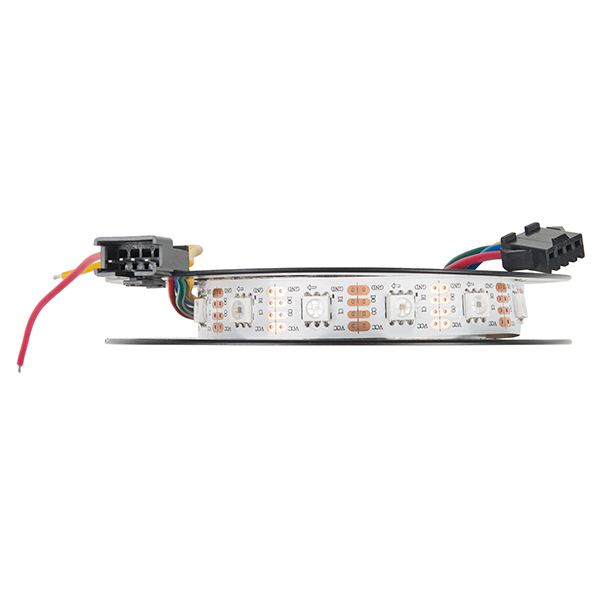 is there a recommended JST 4 pin connector with flying leads assembly that will connect to the input side of this ? The FastLED library works really well. I used a picaxe to drive it, worked great. This is a well made and easy to use product. The inclusion of the connectors and 5 volt taps at each end make it easy to connect. 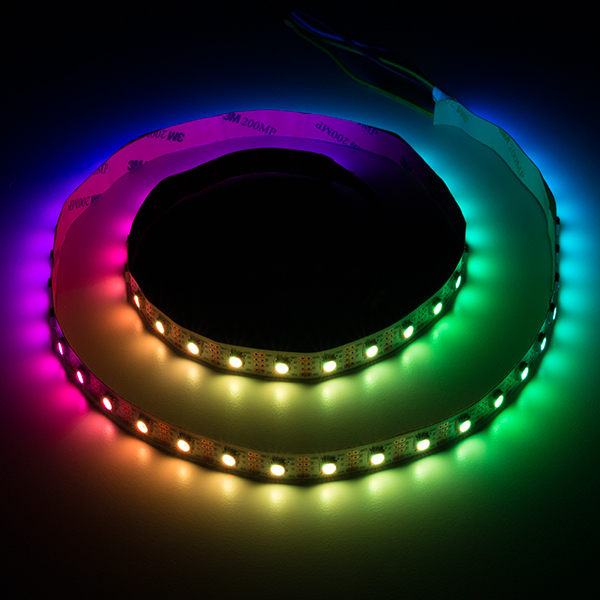 This strip works perfectly with either the Adafruit dotstar library, or the FastLED library. I am using it to illuminate a small train layout diorama. It is perfect for simulating sunrise, sunset, lightning and anything else you can think of. Enjoy!